Joe Kelly saved his job in Saturday’s game with his six innings of one-run ball. Just as NFL quarterbacks give their offensive linemen Rolexes Kelly should give opulent presents to Hanley Ramirez, David Ortiz, and Mike Napoli. The three sluggers drove in all four runs for the Red Sox in the club’s winning endeavor. Ramirez drove in two runs with his first-inning bomb to the batters’ eye. Ortiz drove in Ramirez in the third. 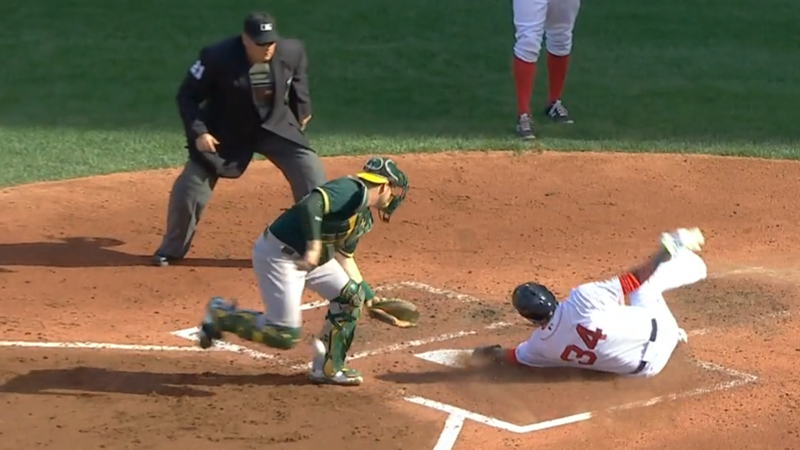 Ortiz then scored on Napoli’s single, a grounder that deflected off Marcus Semien to Ben Zobrist. With Jessie Chavez toeing the rubber the Athletics replicated the same paltry production of two runs as the series opener. 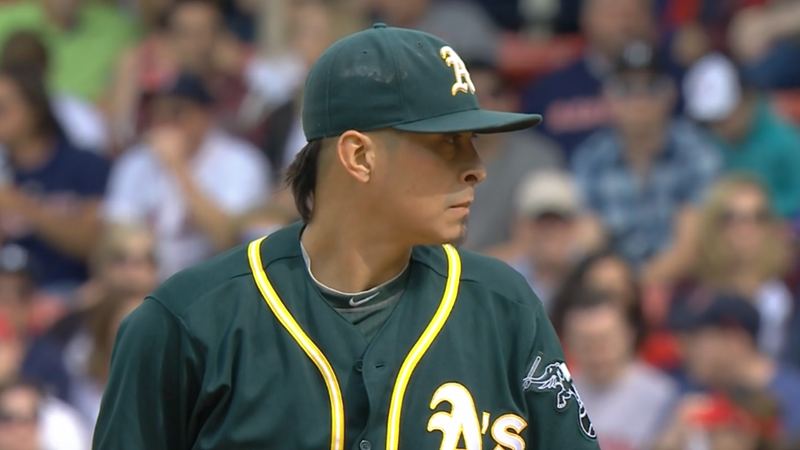 Just as Oakland mimicked the Red Sox’s facial hair last season this season Chavez sports a similar coiffure to Clay Buchholz and Kelly. Whether to improve his luck or his look Chavez might consider a new haircut. He was 2-3 in the month of May and started June off with a loss. The Red Sox were almost as happy as this Bogaerts fan. 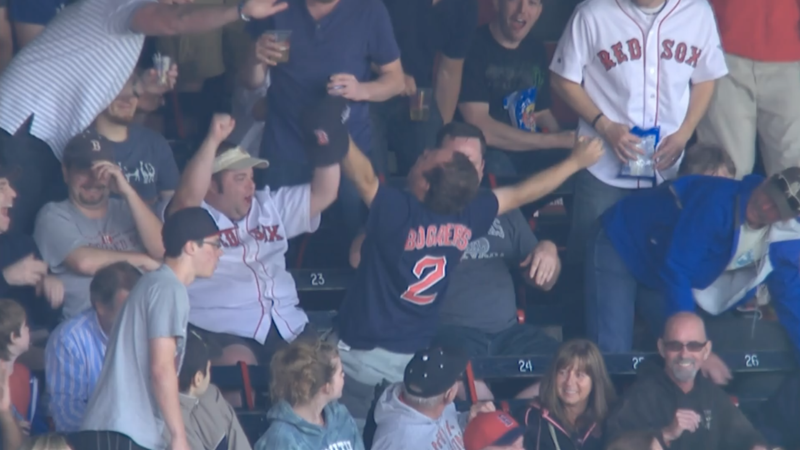 He was lucky enough to nab a foul ball off Xander Bogaerts’s bat.